Political news, Medical news, Celebrity News, Viral news. A Breitbart editor has lost her job after she posted anti-Muslim tweets following the London terror attack. 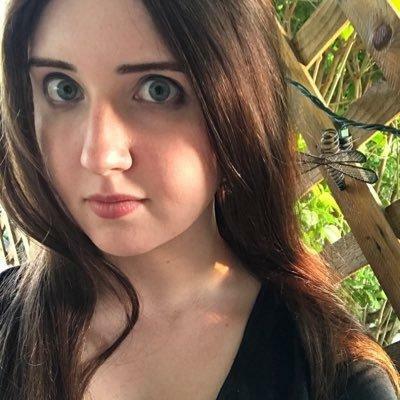 McHugh, who previously worked at The Daily Caller, was censured for a tweet Saturday, in which she wrote "there would be no deadly terror attacks in the U.K. if Muslims didn't live there." She farther inflamed critics by getting involved in a twitter spat with actor Pej Vahdat. "You're a real moron," Vahdat responded to her tweet about Muslims. "You're an Indian," replied McHugh, to which Vahdat responded saying that his ethnicity was in fact Iranian-American. After getting fired, McHugh posted a link to a fundraising page set up for her on fringe right-wing site WeSearchr, for donations to cover her living expenses during her unemployment. “Breitbart News fired an editor for speaking frankly about Islam and Muslim immigration. If there were no Muslims in London, there would be no Muslim terror attacks, period,” she wrote in a statement posted on the site. McHugh’s colleagues at Breitbart characterized her remarks as “appalling," "terrible," and "dumb" to CNN. McHugh has written hundreds of articles for the site since joining it in 2015. Breitbart supported Donald Trump’s “Muslim ban” and anti-immigration policies during the presidential election campaign, and in August, the website’s CEO Steve Bannon was hired by Trump as his campaign director. He was appointed as Trump’s chief strategist after Trump took office. The site has been described by Bannon as a “platform” for the alt-right, a movement of white nationalists and anti-establishment conservatives. Firing a writer for proclaiming anti-Muslim beliefs might appear out of character for Breitbart News, which has often stood by its writers mobbed by criticism from the left on free-speech grounds, judging them to be victims of political correctness. However, the controversial writers of the site frequently make news themselves. In February, Breitbart writer and alt-right controversialist Milo Yiannopoulos resigned after making comments, which defended pedophilia. The news site, which experienced a spike in traffic in the run-up to the presidential election, has sought to compete directly with more mainstream publications. In January, Brietbart hired John Carney, an experienced reporter from The Wall Street Journal to head its finance and economics section. Although denied congressional press credentials in April, the news organization is accredited by the White House. McHugh asked for comment from Charles Johnson, who formerly worked at Breitbart News. He questioned why Ms. McHugh had been targeted. “Why was she singled out for criticism or punishment when Milo Yiannopoulos and others said far worse things and yet retained their jobs?” Johnson said. Although Breitbart has been portrayed as a leader of the far right, its decision to fire McHugh was criticized by some prominent conservative commentators on Monday. “Breitbart fired a journalist to appease fake news media,” Mike Cernovich tweeted. 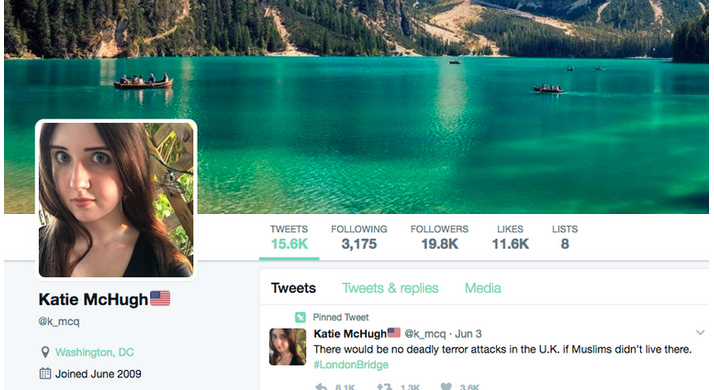 “Whatever the reason for firing, Katie McHugh is a great reporter,” Ann Coulter tweeted. Germany's foreign minister on Monday claimed that President Trump’s actions have weakened the West and accused the US government of standing "against the interests of the European Union." 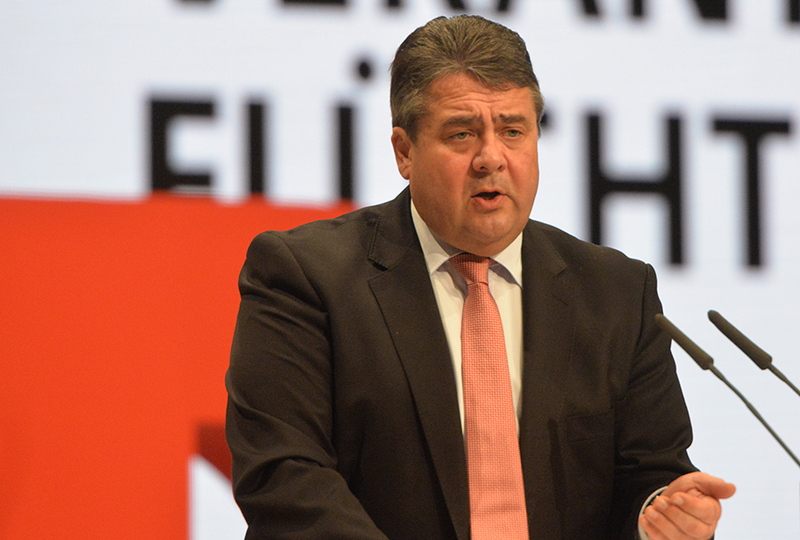 “Anyone who accelerates climate change by weakening environmental protection, who sells more weapons in conflict zones and who does not want to politically resolve religious conflicts is putting peace in Europe at risk,” said Sigmar Gabriel said, reports CNN. Mr. Gabriel’s comments came just 24 hours after German Chancellor Angela Merkel declared that Europe could no longer totally depend on traditional allies such as the United States and Britain. Germany and other European nations. At the summits, Trump declined to endorse NATO's collective defense principle or the Paris climate agreement. Mr. Gabriel was speaking on the sidelines of the third round-table discussion on refugees when he made these scathing remarks. He called on Europe to oppose the current US administration and not shy away from censuring. 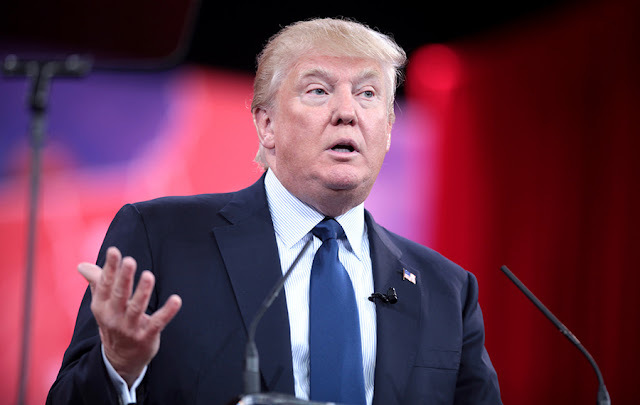 He accused the Trump administration of wanting to end climate agreements, enforce military action in crisis regions and blasted President Trump’s infamous travel bans. Trump wrapped up his first official tour abroad after taking office. His trip took him to Saudi Arabia, Occupied territories in Israel, Belgium and Italy for a G7 summit. The highlight of his trip was a 110-billion-dollar arms deal with Saudi Arabia, which included the sale of tanks, ships, and anti-missile systems to the oil rich kingdom. Trump has been a bitter critic of NATO overall, and at one point he called the alliance “obsolete.” Other allies have routinely come under his harsh criticism, when he accused them of not paying their fair share of the defense burden of the alliance. He has pushed the alliance to do more to combat terrorism. At the NATO leaders summit, counter-terrorism and burden-sharing will dominate the agenda—not Russia. "I experienced that in the last a few days, and therefore I can only say that we Europeans must really take our fate into our own hands, of course in friendship with the United States and in friendship with Great Britain and as good neighbors wherever it is possible, also with Russia and also with all the other countries. 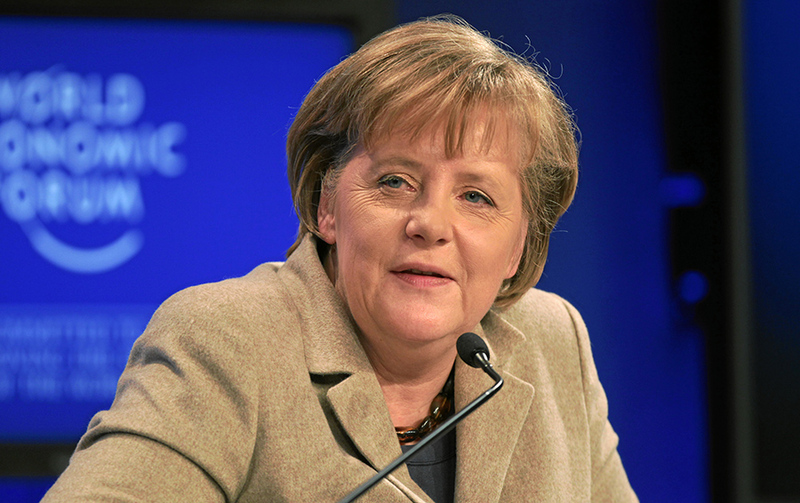 "But we need to know that we have to fight for our own future and destiny as Europeans," she added.Merkel is expected to win a fourth term as Chancellor when the country heads to the polls in September. On Monday, UK Home Secretary Amber Rudd reacted to Merkel’s remarks. He said that Britain would continue to pursue a deep and special partnership with Germany and the rest of Europe after Brexit. "As we begin the negotiations about leaving the EU, we will be able to reassure Germany and other European countries that we are going to be a strong partner to them in defense and security, and, we hope, in trade," Rudd told the BBC. You are frightened by watching a horror flick, but do you know what really makes the movie so scary? The plot, actors and their characters are all crucial parts that build up suspense in a horror movie. However, there is something else that keeps you on the edge of your seat, and it’s the music and sound effects. You may not have put much thought into what types of instruments produce those frightening sounds, but here they are. Let’s look at some of those creepy instruments. Watch the videos as well. The instrument below is called a waterphone. If you watch the video you’ll see that the bronze rods around the edge of its resonator make it look almost as scary as it sounds. You can play them in several different ways to produce weird and out-of-this-world sounds, all of which give the listener goosebumps. Here’s another instrument. Known as "The Apprehension Engine,” it was custom built by Tony Duggan-Smith for his friend to use in his horror films. Like the waterphone, it's very powerful in terms of all the different ways that can be used on it to create unsettling sounds. Being a musician, I would love to have one of these instruments myself. 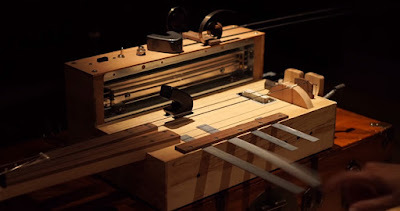 Don’t forget to share these creepy instruments with the horror buff in your life. (c) Copyright saladinazad 2017. Travel theme. Theme images by luoman. Powered by Blogger.